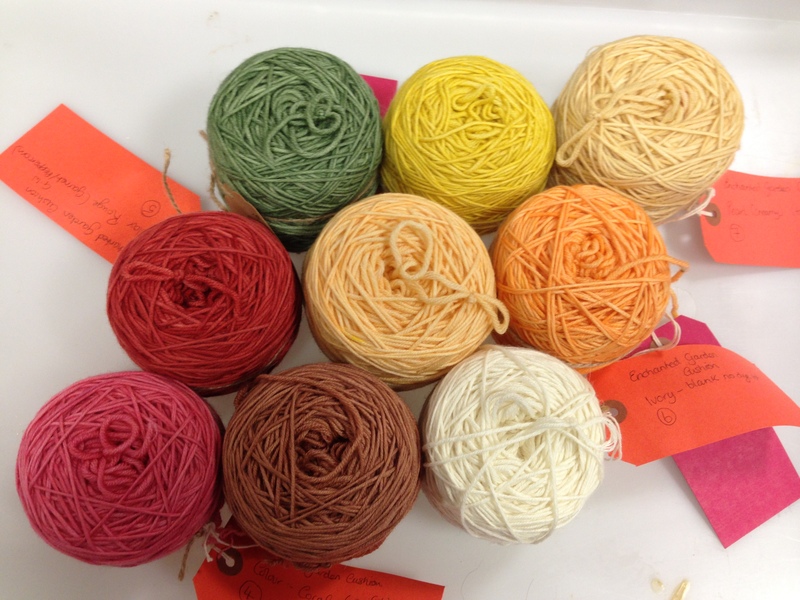 Hand Dyed Yarn WIP Continued…. After three days drying time (house was cold) 😦 My hand dyed yarn is finally ready to ball up and to get going on the new project – crochet cushions. I really enjoy hand dyeing yarn. 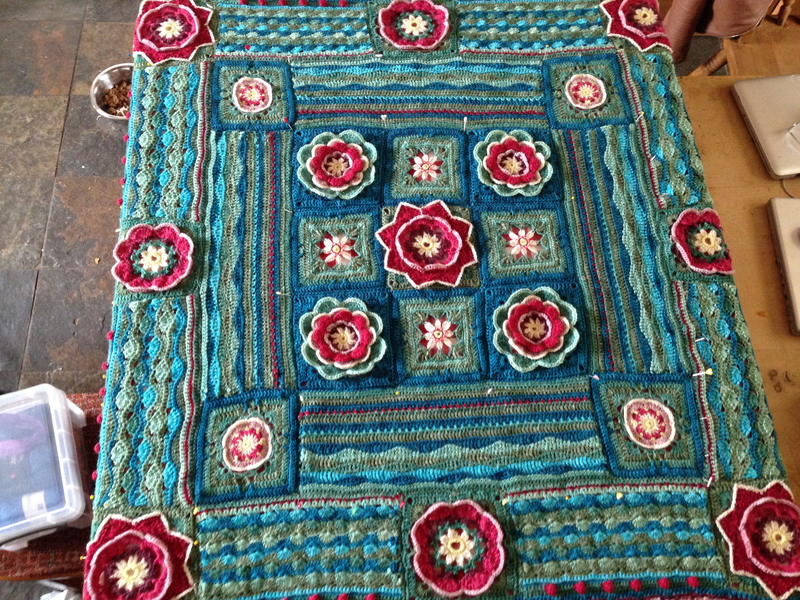 My next project, and the one I’m currently making is following the Enchanted Garden Tote bag, Tote Bag Pattern Here which combines the Crocodile Flower Square Crocodile Flower by Joyce Lewis Pattern Here, and Dedri Uys who was the designer of the Sophie Universe Crochet Along. The pattern for this is free online here: Sophie’s Universe Free Pattern I am not making the tote bag, but instead using the front panel design which I will turn into a pair of cushions for our front room. Hand dyed 100% merino yarn ready to GO!